Sherry Thomas burst onto the scene with PRIVATE ARRANGEMENTS, aPublisher Weekly Best Book of 2008. 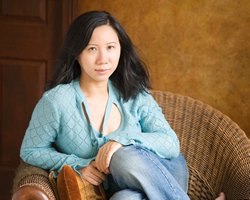 Her sophomore book, DELICIOUS, is aLibrary Journal Best Romance of 2008. Her next two books, NOT QUITE A HUSBAND and HIS AT NIGHT, are back-to-back winners of Romance Writers of America's prestigious RITA® Award for Best Historical Romance in 2010 and 2011. Lisa Kleypas calls her "the most powerfully original historical romance author working today." Her story is all the more interesting given that English is Sherry's second language—she has come a long way from the days when she made her laborious way through Rosemary Roger's SWEET SAVAGE LOVE with an English-Chinese dictionary. She enjoys digging down to the emotional core of stories. And when she is not writing, she thinks about the zen and zaniness of her profession, plays computer games with her sons, and reads as many fabulous books as she can find. Sherry is available to speak to writers groups on the intimate particulars of craft as well as the ins and outs of publishing. Background: The couple in the scene are the hero and the heroine of my Oct 2012 release, TEMPTING THE BRIDE, which is the third book of the Fitzhugh Trilogy and will following BEGUILING THE BEAUTY in May and RAVISHING THE HEIRESS in July. This is not a scene from a book but rather from the previous Christmas, shortly before the timeline for the entire trilogy begins. Helena Fitzhugh looked about the library. She was under the impression that Andrew would meet her here. Most of the other gentlemen had left to shoot pheasants with her brother and most of the ladies had gathered in the solarium to while away a winter morning chatting and playing parlor games. She and Andrew would have a lovely hour alone. But Andrew was nowhere to be seen. Baffled, she headed toward the door. Viscount Hastings, her brother Fitz’s best friend, appeared in the doorway, blocking her path. Helena looked up. Sure enough, there it was, a sprig of green leaves and milky berries, tied with a bright red ribbon—something she’d yet to see anywhere else at Henley Park. If one analyzed Hastings feature by feature, he probably wouldn’t be called handsome. But the whole was greater than the sum of the parts and he had long been considered a highly attractive man--proof that God was sometimes absent-minded and gave gifts where none were deserved. She felt a flutter of nerves. Did he know about Andrew? Surely he couldn’t. “I have been sincerely devoted to you ever since we first met lo these many years ago,” he murmured. His breath quickened--as did hers. His lips were well-molded and sensuous. And for all his dissipation, he smelled wholesome, like newly woven tweed—with a hint of pipe tobacco. They were under the mistletoe after all. “Witch,” came his response behind her. She was pleased as she sauntered away—and completely breathless. Want some more of Sherry Thomas' work? In honor of her post today, I'll be giving away (gifting) a winner's choice of whichever back list book they've taken a fancy too :) That's right! 1 lucky commenter (with a Kindle or the FREE Kindle PC app) will get one of Sherry's books under their electronic Christmas tree this year! Just make sure to leave a comment and fill out the raffle copter form! On behalf of myself, Dani and a whole host of generous and awesome authors, we will be having one BIG Grand Prize given away to 1 lucky winner. The grand prize consists of a mix of books, swag, and lots of other secret goodies. Believe me, you want to enter to win this prize. Just make sure to leave a comment everyday on each post on both blogs and fill out this form. That's it. Super easy! Wow I'd like to read the rest of that story, NOW. I'll be putting this trilogy on next year's wishlist. Hooray, 3 new books from Sherry in 2012! I guess that makes the long wait worth it. Her books are so intense and wonderfully angsty. I love Sherry's book. The time period with her wonderful characters.. always leave me wanting more. Can't wait for the new trilogy. I've never read anything by Sherry Thomas but I'm truly impressed with the excerpt she provided and with the fact that English is not her first language. I'm definitely adding her books to my list! Thanks for the giveaway! Ooooh... Private Arrangements is one my favorite books... Looking forward to all your new upcoming book! Thank you for the excerpt!! Cannot wait to read the book! Merry Christmas! Ah! How have I not read any Sherry Thomas books? I'll be sure to add this lovely author on The List. Thank you for all the comments, ladies. Hastings is my first rake--hard to believe I've been writing as long as I have without ever tackling this great romance archetype. Ahhhh! Another backlist! I am so happy I followed the blog links from one of my FB authors! 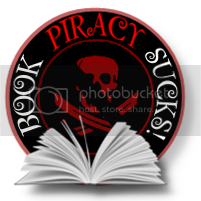 And a backlist that has ebooks to boot! <3 I'm in love! Super excited!!! I love finding authors that have eluded me (for far too long by the sounds of that scene!). Can hardly wait! I loved this scene--now I know that I must read all of your books, Sherry! I've got them all on my wish list, but that's not enough. I need to read more of this lovely witty banter between your hero and heroines. I'm a sucker for well done banter. :D And great covers--and you have both, so bonus! Congrats on the three new books in 2012. Great scene. The trilogy is going on my wish list. I really liked His at Night and look forward to Sherry's new book. I can't wait for the new trilogy. That scene was just delicious and dripping with tension. You really put the screws into us, too, making us wait until the last book for this pair. Hi Sherry! I have heard so many great things about your historical romances that I am anxious to start reading them. Thank you for the giveaway. Sherry, so love your books. And can't wait for the next one to come out. Would love to win one as I haven't bought them all yet. Keep on writing. Thanks. I've read His at Night and Not Quite a Husband. I loved both. Not Quite a Husband was so heart achingly beautiful that I couldn't put it down + read it all in one sitting :). It's so great to hear from everybody! Thank you for reading me and thank you for being willing to try me! I've enjoyed every Sherry Thomas book I've read, and I'm looking forward to reading more. I've read two of Sherry's books. Now I've added the others to my TBB list. I enjoyed the excerpt and can't wait to read the others in this series. I have a couple of Sherry's books and just love them! Hope I win! I adore Ms. Thomas' work and look forward to what's up and coming for 2012! I would love to read this. Sherri is a new author to me. Thanks so much! Big, big fan of Sherry Thomas. Very excited for the new series! Wow! Awesome giveaway. Loved the book blurb too! I can't wait for this new trilogy! OMG! This book sounds amazing and I'm adding it to my wish list! Thanks for sharing a bit with us today! This book sounds great! My poor wishlist is going to grow so much during the holiday season, I had better get some gift cards to help me, lol. I haven't read any of Ms Thomas' books but would love to! Great excerpt, thank you for the chance to win a book by you. I do love your writing style. Not Quite a Husband was my first Sherry Thomas book and I absolutely loved it. Thanks for this excerpt. Adding it the wish list right now. Thanks for the giveaway! Amazing that you write in a language that is not your first language. He at Night has a beautiful cover, makes me want to pick it up! Nice excerpt! Sherry writes so beautifully. I must remember to steal her magic prose powder the next time I see her. ?Magic prose powder"--I'll take a dozen bottles. Sherry, thanks for a tantalizing scene! It seems too long since HIS AT NIGHT. I'm really looking forward to your new trilogy. I haven't had the pleasure of reading anything by Sherry yet but i'm adding her to my TBR list! Thanks for the excerpt and I'll be checking out the story. Happy Holidays! Thanks for the entertaining excerpt. It's almost impossible to tell you how much I enjoy your books! Congratulations on your RITA wins. I was at RWA 2011 in NYC this summer; I am so sorry I did not meet you there. Are you planning to attend RWA 2012? If so, I would love to meet you! I LOVE scenes dripping with sarcasm!!! Although I haven't read anything by this author yet, I have several of her books on my TBR list. And after the scene I just read, I'm thinking she's moving WAY up on my TBR list! I loved this scene from "Tempting The Bride', and look forward to reading the story in it's entirety. I've read a couple of your books which I thoroughly enjoyed. I have read every one of your books and find it hard to find the one I like the best so I don't even try. Thanks for this excerpt. I'll be eagerly awaiting your new books. Email subscriber to both sites and GFC name is Lucky47. Great scene. I'm looking forward to reading her new trilogy.